Be a wildlife hero. Sign up for our timely WILD NW Action Alerts! We’ll notify you about actions you can take that will benefit grizzly bears, wolves, caribou, wilderness and much more. Check our News Updates page for the latest action alerts. Wildlife materials and links, both educational and fun, for children and families. Kids love our wolf and fisher coloring pages! Guided by proper science-based wildlife management and Fair Chase ethics, regulated hunting can be a powerful force for conservation and an enriching way to experience our natural heritage. Learn more on our webpage. Check out The AV Room for our latest video projects, short documentaries, interviews and more. We can keep you to date with a variety of publications. You’ll find links to current and archived editions. 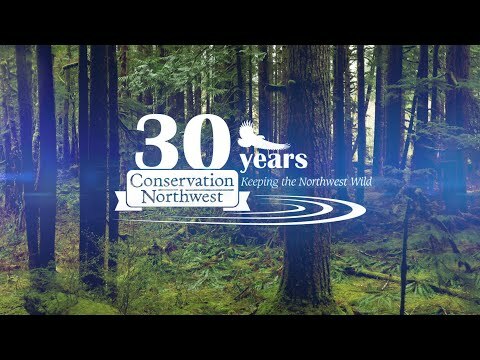 The Conservation Northwest Newsletter is our 100 percent recycled, full-color paper newsletter. It is now published twice a year. Our Members receive the print newsletter in the mail. Complimentary copies are also available at many local outdoor retailers, coffee shops, stores, our offices and other locations. The Conservation Connection is a monthly electronic newsletter featuring short updates about the issues we work on and the people who make it happen. Sign up online. Check our News Updates for WILD NW Action Alerts, program news and statements, and our Wild Northwest blog for opinions, stories and perspectives from our staff.